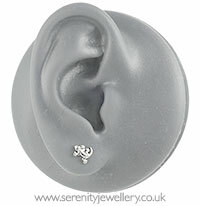 Hypoallergenic surgical steel 7mm long screw-on gecko. I should have read the details better. This is much smaller than I was expecting. 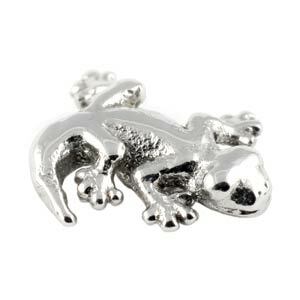 Brought for my cartilage piercing but can't see the gecko, just looks like plain silver jewellery when in, so I won't be wearing it again.